Watch Daystar Television live, or watch videos of our award-winning shows. Daystar is one of the leading voices in Christian media today, with timely, relevant programs designed to reach the whole family! The Roku box is a small device that connects to your TV and allows you to watch internet video on your TV without the need for a computer. It works with about any TV and is very easy to use. Daystar Television Network is now available on Roku! Roku devices are available from most retailers such as Best Buy, Target, and Walmart, or directly from the Roku website. * You must have high-speed internet and must have wireless internet available. Some Roku models also accept an ethernet cable. What Roku device is best for viewing Daystar Television Network Channel? 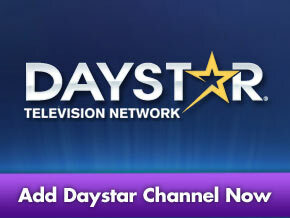 Daystar’s Channel can be viewed on all Roku streaming devices. For better viewing and faster downloading of your favorite videos any of the Roku 2 models or newer are more desirable. How do I set up my Roku? How can I add Daystar Television Network Channel to my Roku? You can simply add Daystar Television Network channel to your Roku device by clicking on the image and logging into your Roku account. Or you can go into the Channel Store from your Roku device and arrow down to the “Religious & Spirituality” section and find our channel. Nothing happens when I click on the Channel from my Roku device? If your device is doing this please check the network connection. More times than not it is because your device has lost the network connection. If your box keeps doing this please contact Roku. It takes a long time for Ondemand videos to play/show up - Is this normal? The reason for the delay could be internet connection; To get the most out of your Roku device you will want a hi-speed connection, to view all your favorite content from Daystar Television Network Channel. My Roku device is stuck!